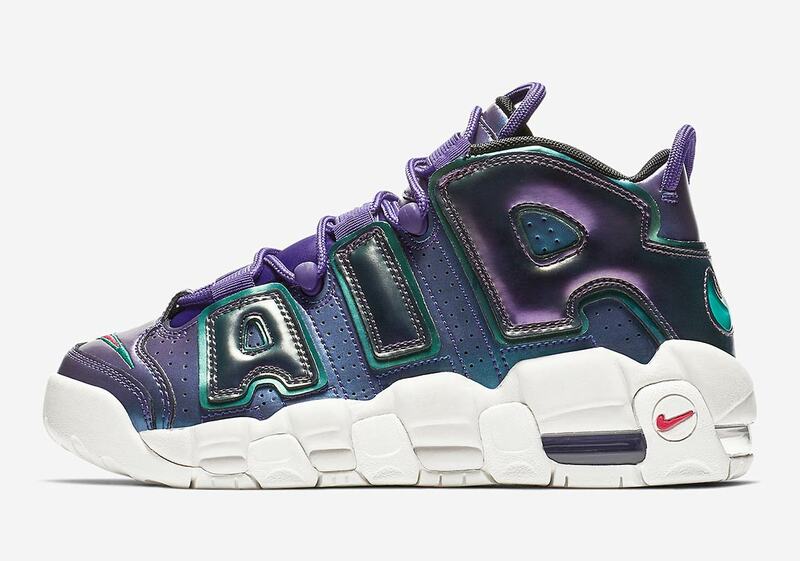 A chunky ’90s basketball favorite first made popular by the incomparable Scottie Pippen, Nike’s Air More Uptempo has enjoyed a resurgence in popularity the last few years due to its striking look. 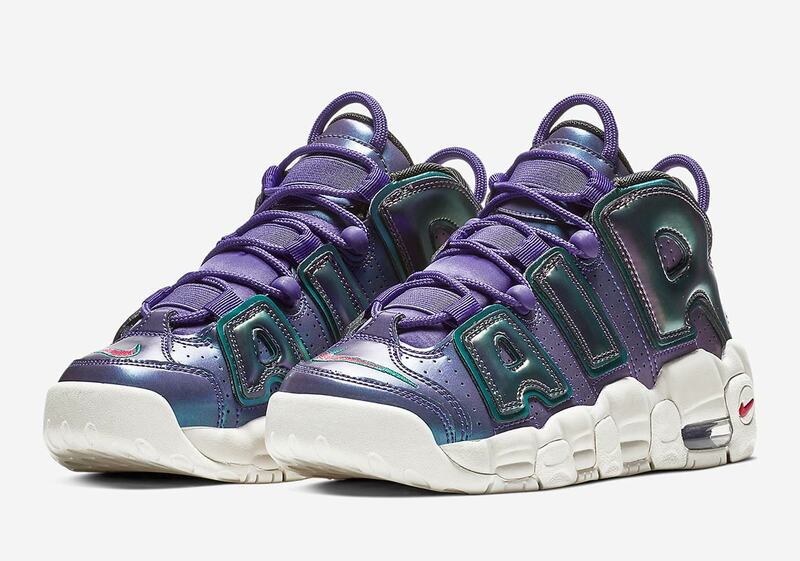 It’s released in several classic colorways, served as the centerpiece of a Supreme collaboration, and has now released in a unique iridescent purple just for kids. 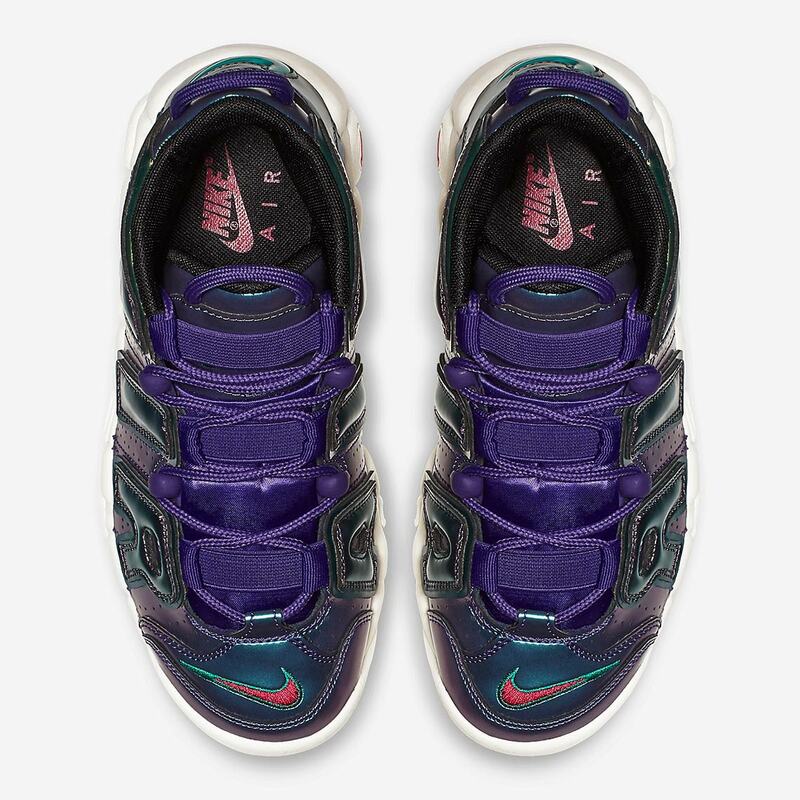 The upper offers a unique sheen that blends purple, green, and blue tones — which appears different based on the viewing angle — while the tongue, throat, and laces are dressed in a light purple and a teal jelly swoosh hit adorns the heel. 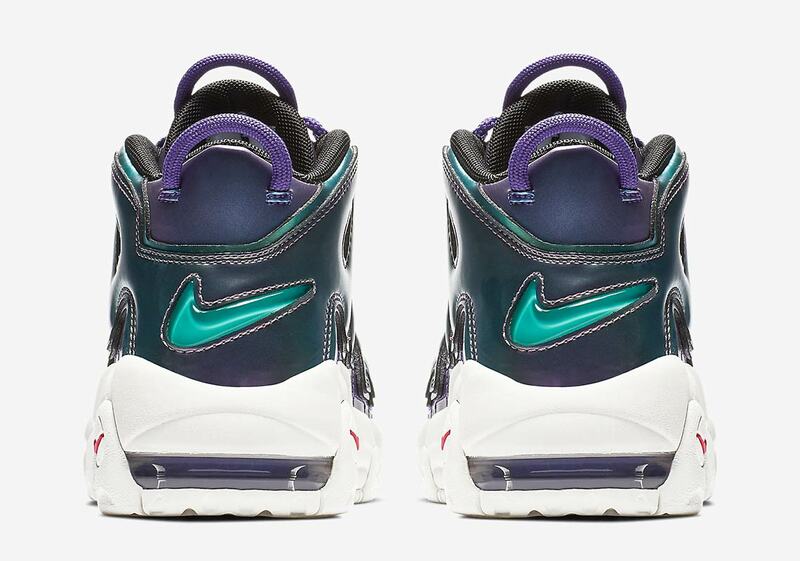 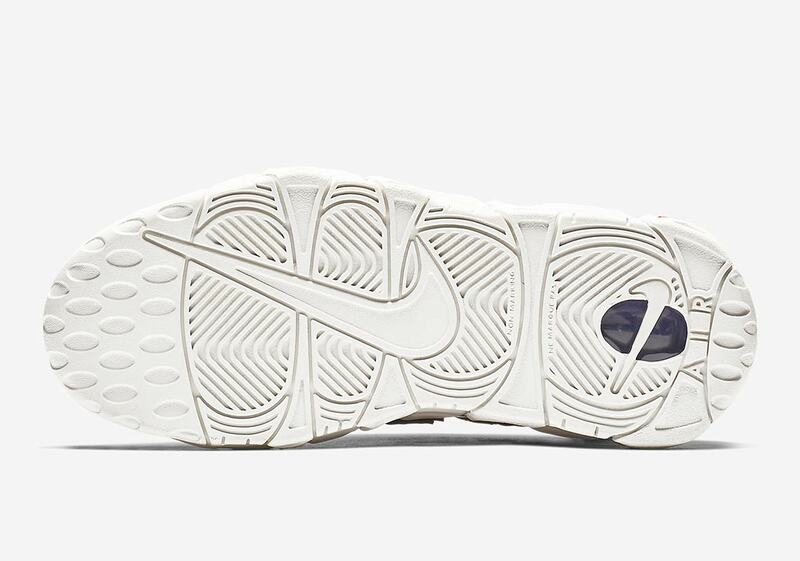 The chunky midsole is done up in a stark white, and a finishing touch of contrast is provided by a purple Air Max unit. 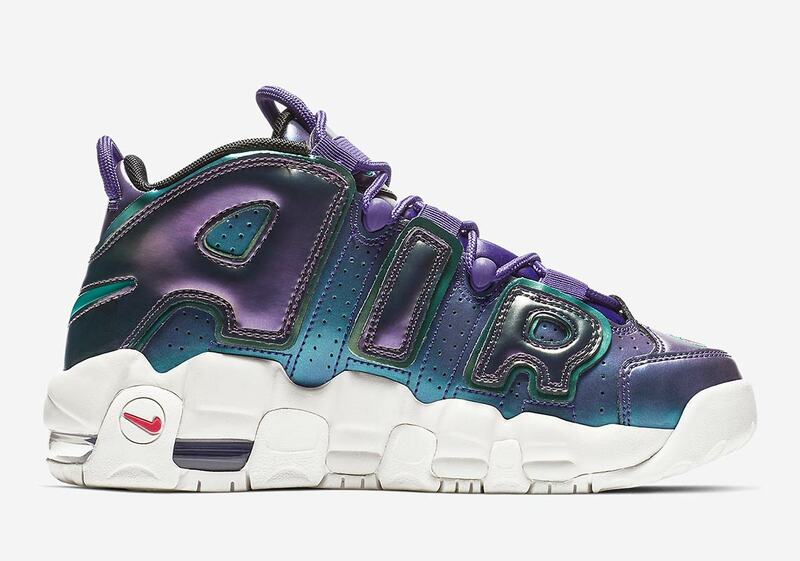 If you’re digging the bold look of these colorful Uptempos, they’re available now at the retailers listed below — and are also available for slightly under their box price on eBay.